Prima Princessa Productions is a mere two-person operation, the brainchild of two moms from New Jersey, Mary Kate Mellow and Stephanie Troeller. During a play-date with their kids, the duo hatched a unique idea for a children’s dance-along series featuring world-class ballet. Prima Princessa brings high arts to young children through inexpensive and accessible multi-media platforms that kids use everyday. Attending a live ballet performance is costly and time-consuming. Ballet has been steadily losing its audience in this era of new media with downloads, web-casts, web-browsing, all free and immediate entertainment. Prima Princessa understands this trend and embraces new media by letting children experience the art form of classical ballet on their own terms in their own homes and schools. Prima Princessa Productions has created 3 one-hour shows available on DVD, Public Television, NETFLIX, Australia iTunes and on Safari Montage for school libraries. Prima Princessa also has a comprehensive interactive ballet website and blog, and a ballet resource book “Ballet for Beginners”, all with the goal of inspiring kids to get up off the couch and dance. Prima Princessa offers an interactive viewing experience that contains both world-class ballet and innovative dance-along ballet lesson montages. An animated fairy ballerina, Prima Princessa, is the guide, narrating the ballet and between acts she invites young viewers to join in the dance lessons demonstrated by students from the New York City Ballet’s official academy the School of American Ballet (SAB). During the editing process, all shows are methodically tested on focus groups of children 3-10 years old to ensure that the programs really hold their attention while encouraging them to dance and learn key ballet concepts. Children often run to get their favorite tutus before watching and dancing along to the show. “Prima Princessa Presents Sleeping Beauty” and “Prima Princessa Presents The Nutcracker” have been broadcast as holiday specials on more than 252 public television stations in 44 states, airing in 42 of the top 50 TV Markets in the USA including NYC, Los Angeles, Chicago, Philadelphia, Atlanta, San Francisco, Boston, Washington DC, Houston, Detroit, Tampa, Miami, Denver, Tucson, Kansas City, and Prima Princessa has also aired on Statewide Public Television in the following states: New Jersey, North Carolina, South Carolina, Louisiana, Mississippi, Kentucky, West Virginia, New Hampshire, Rhode Island, Maryland, Maine, Delaware, Arkansas, Oklahoma, Idaho, South Dakota, Wyoming, Nebraska, Montana, Hawaii and Alaska. 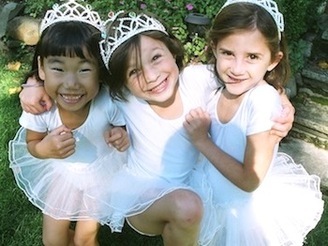 Prima Princessa’s ballet website, www.PrimaPrincessa.com is features fun crafts for kids, videos for kids, tea party ideas, great gifts for girls, educational online games and is a great ballet resource for families. 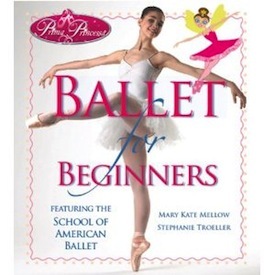 It contains a ballet dictionary, extensive listing of ballet schools a, parent/teacher study guides for all 3 ballet shows and printable ballerina coloring book pages. Prima Princessa’s TutuZone.com blog features ballet news, crafts for children, photos/videos of fans dancing along to the shows and reviews by parent bloggers who have been instrumental in spreading the word about Prima Princessa. "Pop in this DVD and give your kids a low-key but surprisingly sophisticated introduction to the joy of dance"
“I have two divas within my household which are definitely princesses in their own right. They love to dance their own dance style, so I was thinking that they would enjoy this, but I was amazed as they started to watch how much they were engaged in the film. Both of my girls had their eyes glued to the television and as they watched they loved trying out the dances that they were being taught. As an educator myself, I loved seeing the educational components within the film. This education was a true creative arts gem. It provided the opportunity for kids to not only learn about dance, but also about music and themselves. “I found the concept for the Prima Princessa Presents one quite fascinating in terms of the way it brings together what are classically opposed perspectives of high art and child development. I’m guessing that the ideal context for screening this program is a room (or outdoor place) where the audience can jump up easily during the passages where the children on the screen jump up, and where (this idea is ingenious) you work patiently to reinforce the link between a word from the classical lexicon–such as “pirouette”–with the action, not only as demonstrated by the SAB students but also as the audience member attempts to do it, too. The animated Prima Princessa is a truly contemporary prima, streamlined and no-nonsense yet also child-friendly and on the qui vive. The mystery of ballet, the high art part, seems to be very deep in the background, in favor of the fun of it, the high spirits, the tulle, the links to animation princess brands from Disney and elsewhere. It may, in fact, be that, even among adult audiences, the mystery that was so deeply ensconced in the core of ballet’s identity (as well as in historic Disney animated films, such as “Snow White” and “Pinocchio”) will never again have the significance that it did for a century; world culture does not support it. What you have done, it seems to me, is to recognize the new cultural order, to call on the very best available in every medium in which you work, and to focus your efforts winningly and quite charmingly on the intended audience. As a mom (my own daughter, now 24, teaches third grade), I smile broadly.